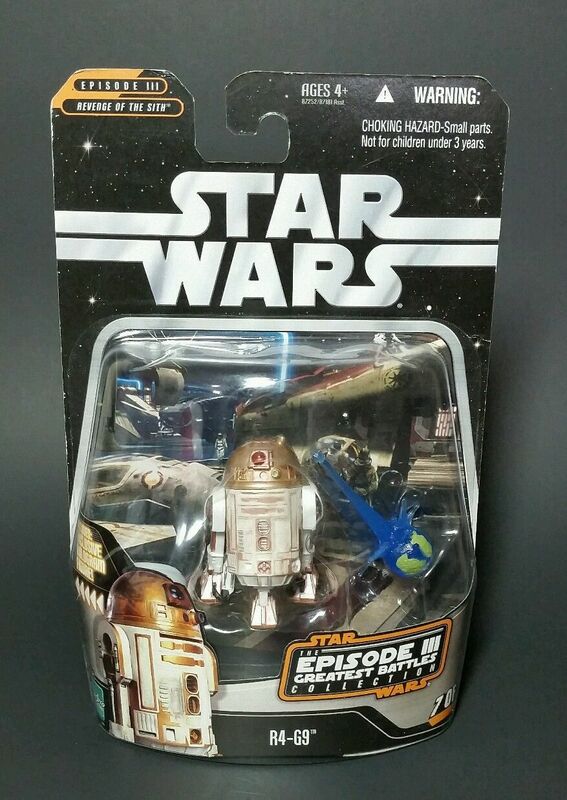 This listing is for a new & sealed 2006 Star Wars Episode III Greatest Battles Collection #R4-G9 Droid Unit. The package is in good condition. No creasing in the card. Some storage wear on the edges and the front plastic. Please see pictures for more details on condition and for exactly what you’ll be receiving. B.